Walking in the Rose Garden at Phipps is just like going into Burnett’s The Secret Garden. We were first greeted by fragrant, delicate pink and white Astilbe, Hostas, and other lush greens. White garden chairs were set up in the center of the Rose Garden for the ceremony. A wreath of flowers circled around a candle-lit Hurricane globe, greeting guests as they retrieved their place cards for dinner. Our bride, Courtney, and her bridesmaids carried lush bouquets of ivory roses and peonies. The romantic centerpieces carried forth the same lush tones with roses, hydrangea, gypsy dianthus, peonies and flowing greens. The cake was simply decorated, light pink spray roses adding a breath of color, and white peonies softening the traditional white form. We were enchanted to be a part of our bride’s special day! In spite of the Kenny Chesney concert, the Journey/ Def Leppard concert and high humidity with threatening rain, a grand time was had by all who were part of Courtney and Steve’s beautiful day. This entry was posted on June 18, 2018, in Ceremony Sites, Ideas & Arrangements, Weddings - 2018 and tagged 2017 weddings, 2018 Wedding Flowers, 2018 Wedding Flowers Trends, 2018 Wedding Season, 2018 Wedding Trends, 2018 Wedding Venues, 2018 Weddings, astilbe, bridal bouquet, Bridesmaids Bouquets, cake flowers, centerpieces, garden roses, love, pittsburgh, Pittsburgh PA, Pittsburgh Wedding, pittsburgh weddings, rose garden, Roses, wedding, wedding bouquets, wedding candles, wedding flowers, wedding planning, wedding venue. Recently, we received some beautiful photos from a wedding we provided flowers for on November, 18 2017. The Bride was Andrea Yasko, with a ceremony taking place at Heinz Chapel & a reception at the Pittsburgh Airport Marriott Grand Ballroom. The couple’s wedding photographer, Kristen Wynn, was kind enough to share some of the memories she captured that day, including some fine images showcasing the bouquets & centerpieces Parkway Florist had created. Above, the happy couple, their wedding party & some closeups of the bouquets of the day! 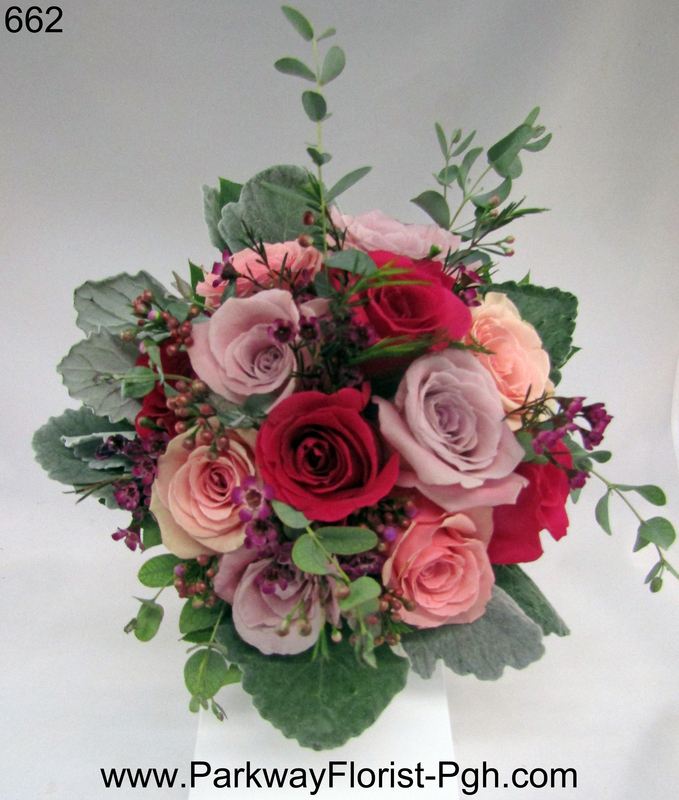 Stunning, tall centerpieces were created for the occasion. Smaller centerpieces were used as well to create a high/low look. The Bride’s bouquet rests at the sweetheart table. Above are examples of the stunning, tall centerpieces created for the reception. Lower centerpieces were also created, to give a high/low look, and create diversity throughout the room. Thank you Kristen Wynn Photography for sharing your lovely work! All images courtesy of Kristen Wynn Photography, to learn more please click HERE. Please contact Jeannie Dankowski for special events at the Pittsburgh Airport Marriott & click HERE for more information on how to plan your reception there. This entry was posted on May 14, 2018, in Ceremony Sites, Exploring Colors, Ideas & Arrangements, Weddings - 2017, Weddings - 2018 and tagged 2017 weddings, 2018 Wedding Flowers, 2018 Wedding Flowers Trends, 2018 Wedding Season, 2018 Wedding Trends, 2018 Wedding Venues, 2018 Weddings, garden roses, love, pittsburgh, Pittsburgh PA, Pittsburgh Wedding, pittsburgh weddings, Roses, wedding, wedding flowers, wedding planning. 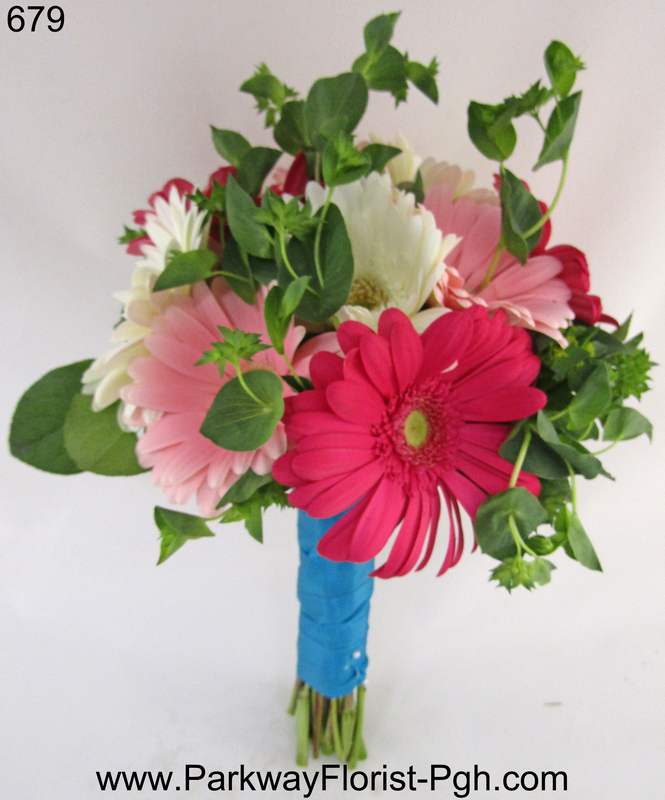 April Showers Bring May Weddings! 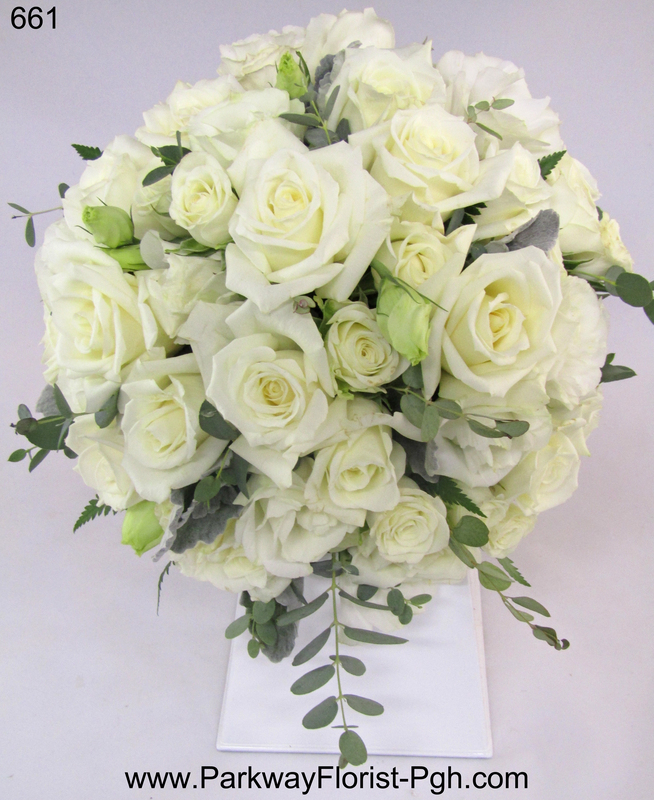 We are only half way through the month of May, and already our shop has been whirling with beautiful wedding bouquets. One of our May 13th brides loved color. 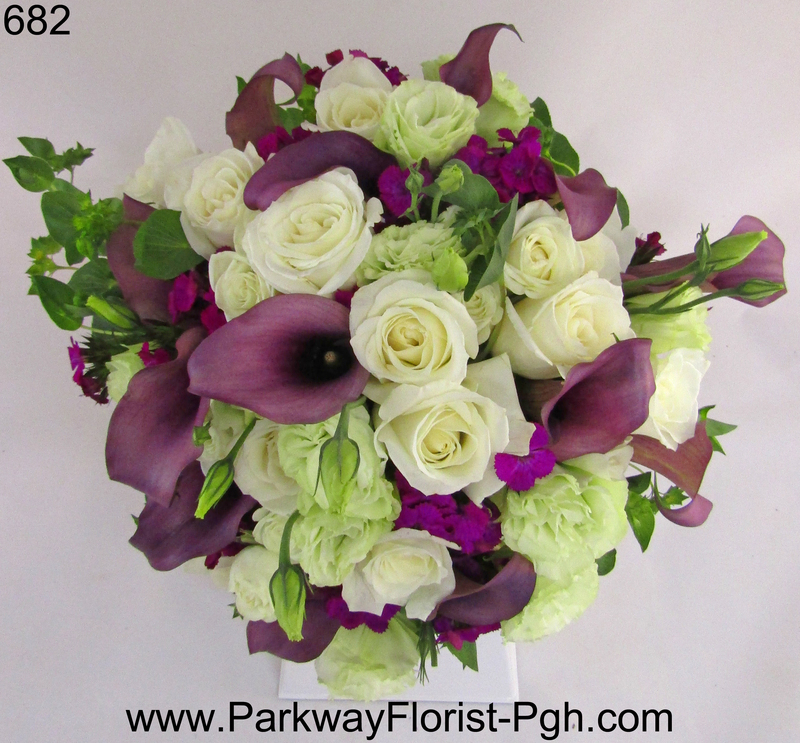 Bold and beautiful, her bouquet (shown on the left) featured white mini calla lilies, white roses, coral roses, and dark blue delphinium accents. Her bridesmaids showed off their long and flowing navy gowns with our all coral rose bouquets. 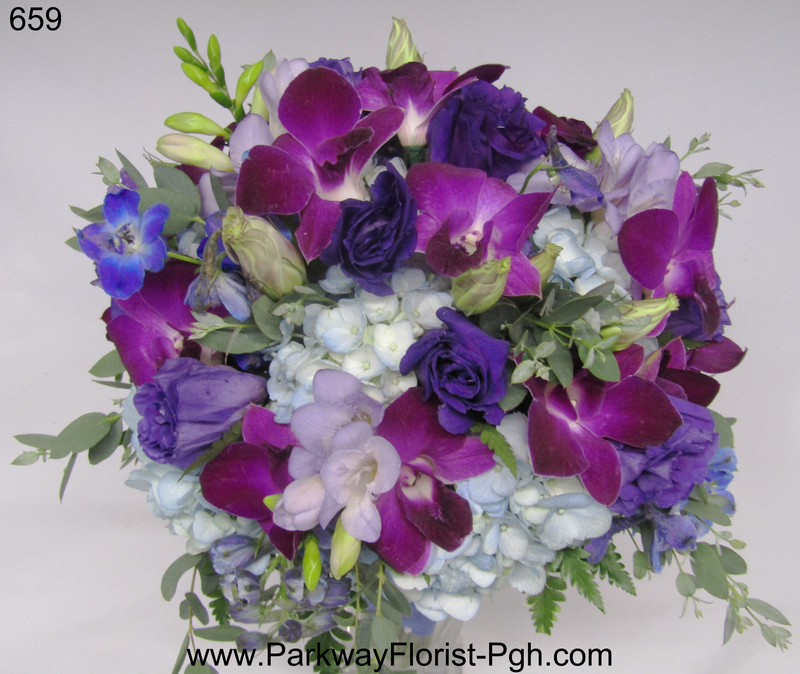 Our next most popular colors this month seem to be combinations of pink and white or white and purple. 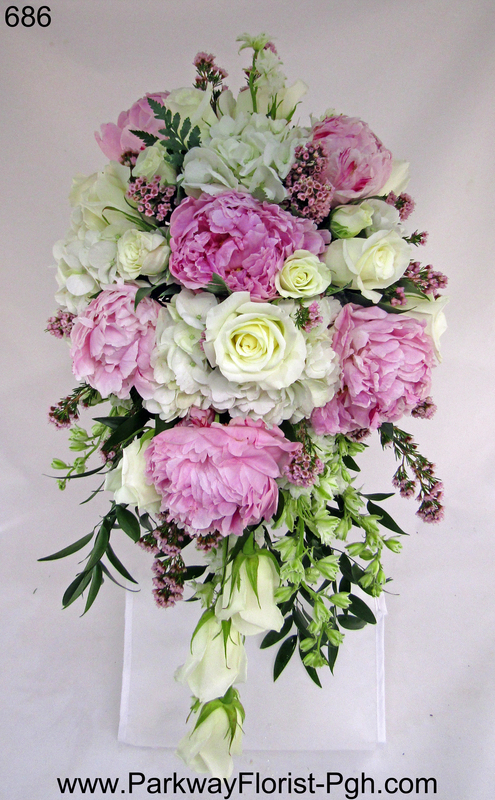 Especially beautiful peonies have continued to be popular. Also, Cascades are back! This is a classic style that has been rediscovered. 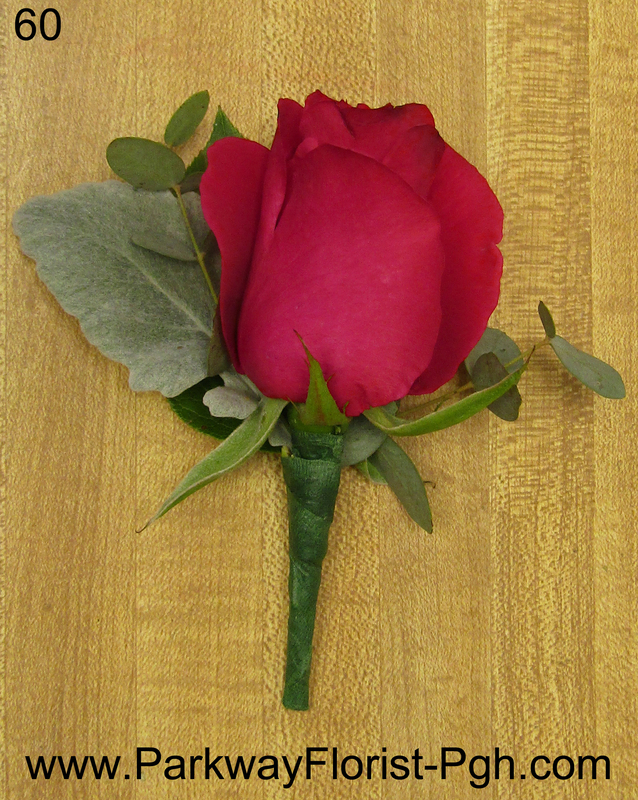 Classic red roses are perpetually in style. Making a stunning statement against black bridesmaids dresses or a white/ivory bridal gown. In our ever changing flowers world, May continues to bring us many soft pastels and the occasional bold pop of color. It keeps us on our toes, and makes us look forward to every bridal client that we service. Here’s to a busy 2017! 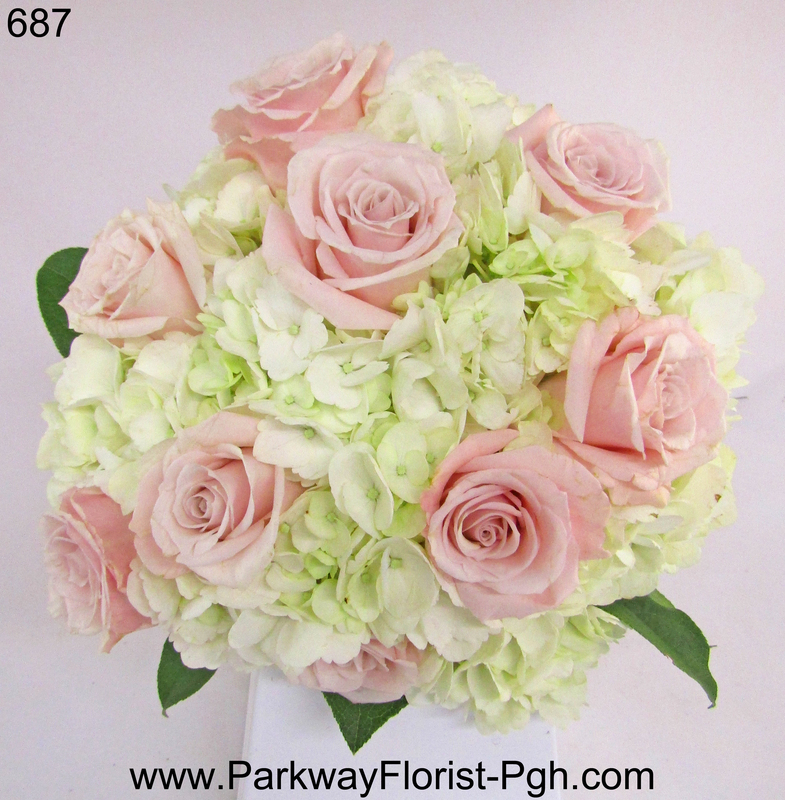 This entry was posted on May 17, 2017, in Weddings - 2017 and tagged 2017 weddings, bridal bouquet, pittsburgh wedding flowers, pittsburgh weddings, spring wedding flowers. 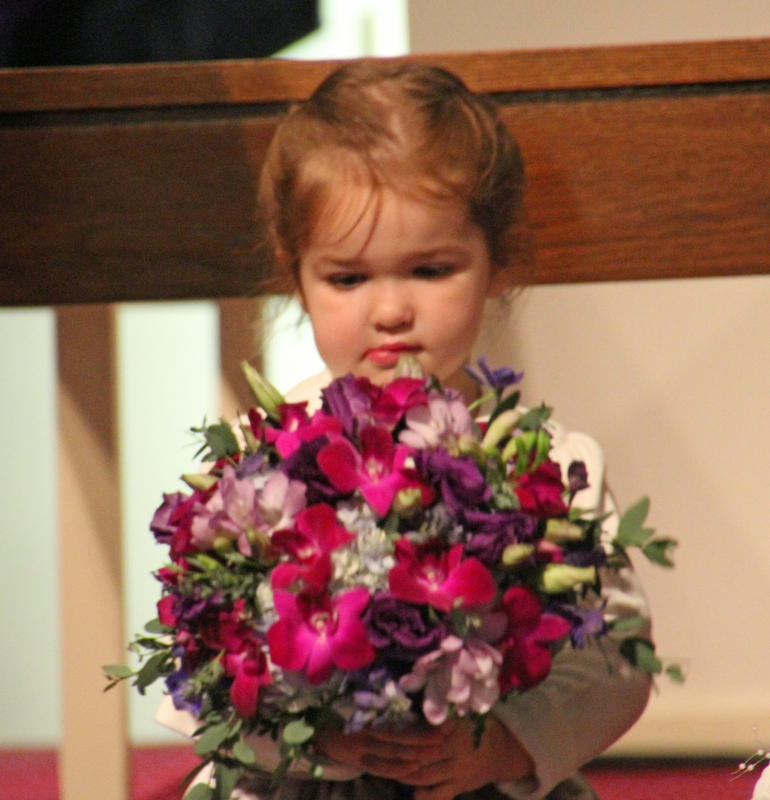 As our wedding season officially began on March 4th, quietly but colorfully, we were once again reminded of the unpredictability of March weather and the solemn church appearances that are part of the tradition of Lent. We began our season with Mandi S and her very special family at St. John Lutheran Church in the north hills of Pittsburgh. 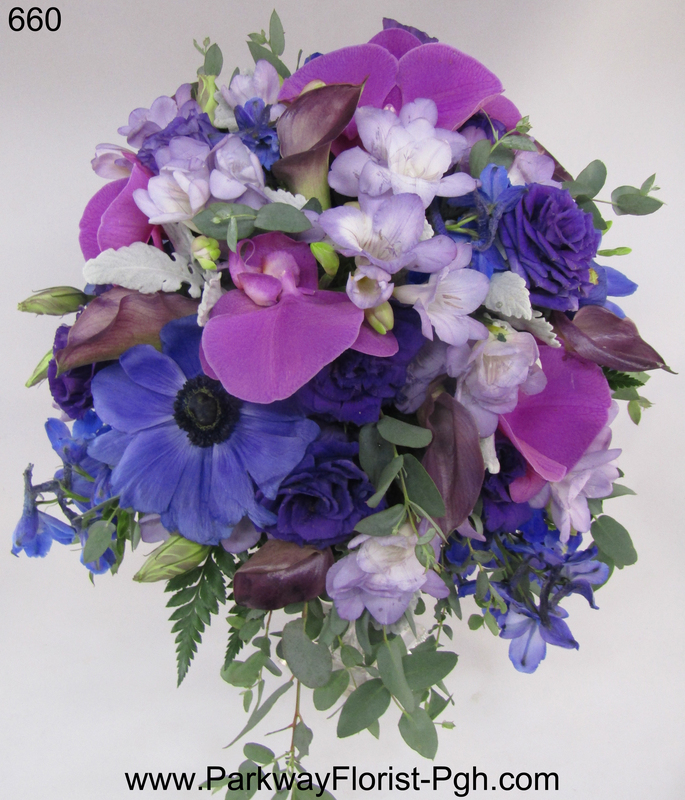 Bright royal blue, purple, and deep fushia were the colors of the day. Mandi’s love of orchids was incorporated in her bouquet as well as that of her bridesmaid.Two adorable flowers girls provided lots of smiles. On March 11th, we faced frigid temperatures and wind as we journeyed to The Priory. 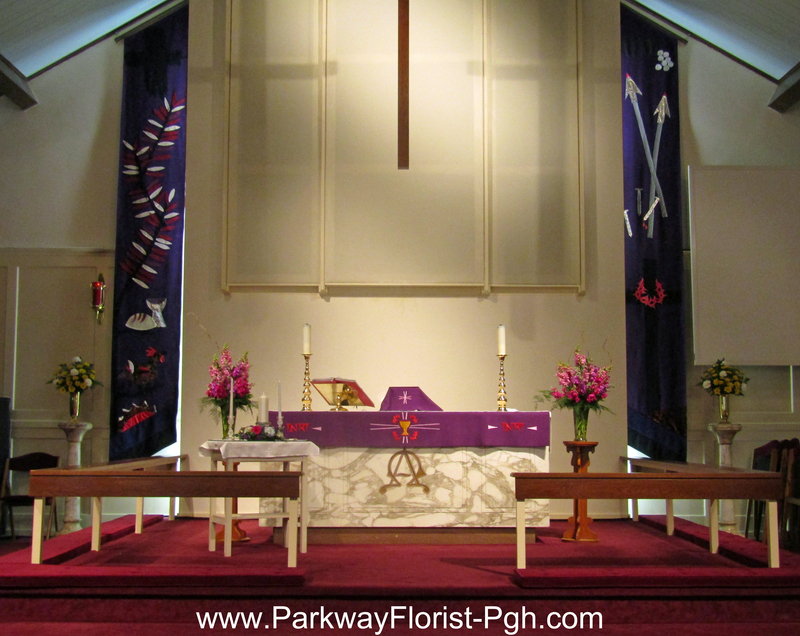 This is a retired old Catholic church, located on the north side of Pittsburgh that has been reclaimed and thoroughly refurbished. Our bride took advantage of the Priory’s Winter Wedding Package. This provided lots of wintery decorations for her use. We supplemented the decor with ceremony flowers, personal flowers, and hot pink petals for the guest tables as well as various dining tables. Our bride carried an all white bouquet. 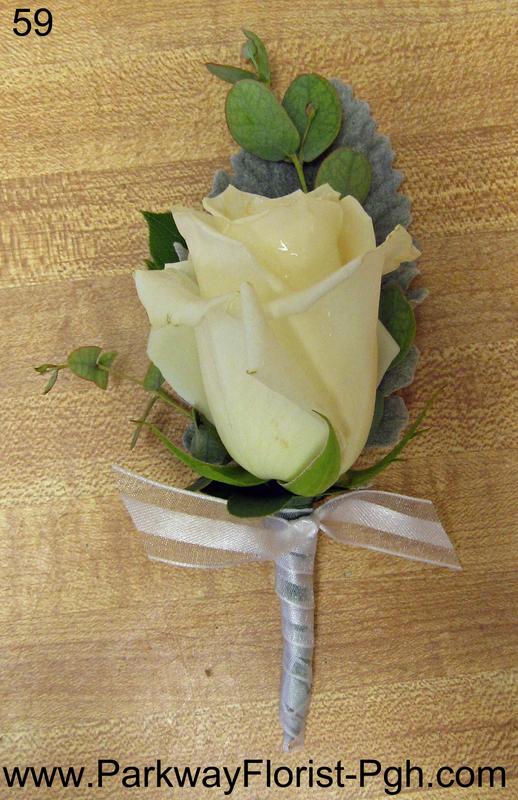 Her bridesmaids carried various shades of pink roses, which looked stunning against their pewter gray dresses. The Priory Looked stunning, and our wedding season is off to a great start! 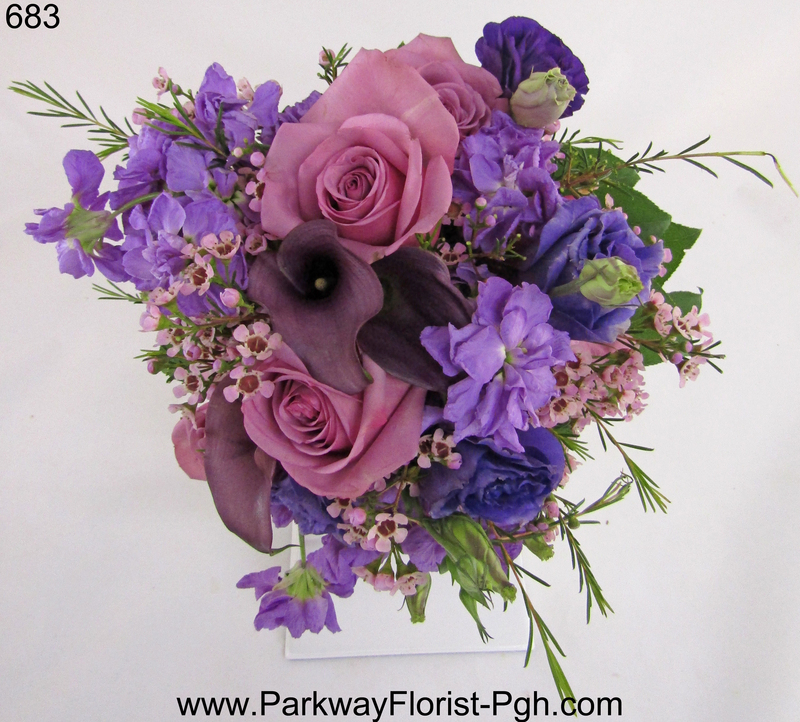 This entry was posted on March 14, 2017, in Weddings - 2017 and tagged 2017 weddings, pittsburgh weddings, wedding flowers.